Dialogues of the Deaf: Defining New Agendas for Environmental Deadlocks presents a way to analyze and deal with some of the most difficult policy issues today. Dialogues of the deaf are policy controversies that remain deadlocked for many years, even after extensive research and deliberation between stakeholders. In these controversies, stakeholders talk past each other, advancing arguments that are each “true” on their own terms but that lead to fundamentally different conclusions. [nl] Dialogues of the Deaf: Defining New Agendas for Environmental Deadlocks presents a way to analyze and deal with some of the most difficult policy issues today. Dialogues of the deaf are policy controversies that remain deadlocked for many years, even after extensive research and deliberation between stakeholders. In these controversies, stakeholders talk past each other, advancing arguments that are each “true” on their own terms but that lead to fundamentally different conclusions. 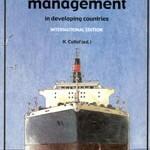 At the heart of the book are four case studies of environmental issues caught in such a dialogue of the deaf. The first case study centers around the Dike Improvement Controversy in the Dutch Rivers Region, a controversy having substantial implications for any region of the world threatened with major loss of lives through flooding. The second case concerns the Chlorine Controversy. The issue of whether and how chlorine should be used in the chemical industry is studied in the Dutch context, with virtually the same controversies found in other countries, including Germany and the US. The Green Heart Controversy takes us into the field of spatial planning and revolves around the issue of how the “Green Heart” concept, like planning concepts elsewhere, can be fictional and authorative at the same time. 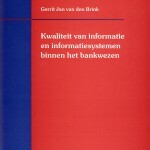 The final case study describes a policy analysis into the Civil Aviation Controversy, undertaken on behalf of the aviation industry of the Dutch government. The controversy focuses on the question of whether it is really necessary and desirable to build evermore aviation infrastructure at Amsterdam Airport Schiphol. The book is primarily directed to policy analysis scholars, public managers, policy-makers and the educated public interested in complex and controversial environmental issues. The book is also relevant to debates in other subfields, inlcuding environmental dispute resolution, deliberative democracy, participative policy analysis, policy network theory, and discursive and argumentative approaches to public policy and organization studies. Michel van Eeten is an Assistant Professor in the School of Systems Engineering, Policy Analysis, and Management and the Delft University of Technology. 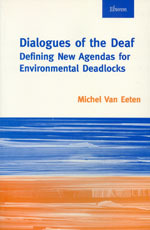 [/nl] [en] Dialogues of the Deaf: Defining New Agendas for Environmental Deadlocks presents a way to analyze and deal with some of the most difficult policy issues today. Dialogues of the deaf are policy controversies that remain deadlocked for many years, even after extensive research and deliberation between stakeholders. In these controversies, stakeholders talk past each other, advancing arguments that are each “true” on their own terms but that lead to fundamentally different conclusions.